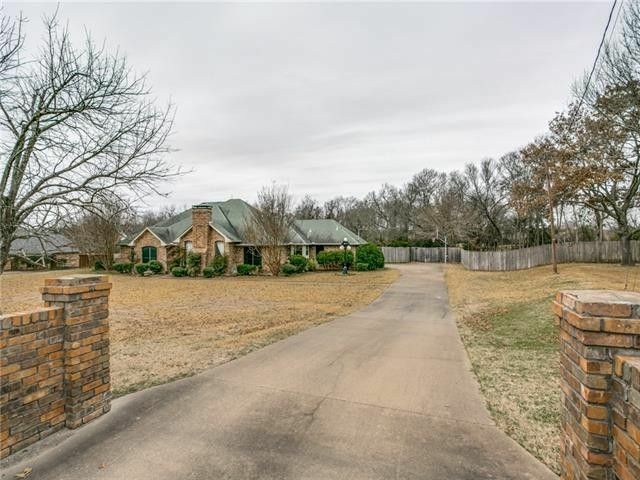 Welcome to this desirable acreage property neighborhood convenient to everything you need. Create a lifetime of memories in this charming home with entry, living, dining and family room all open to each other. Gorgeous rock fireplace in living room with wood floors and awesome built-ins in family room. Great kitchen featuring brick wall encasing built-in oven & electric cook-top, granite countertops and striking wood ceiling in breakfast area. Spacious master suite includes dual sinks, jetted tub, separate shower and his & her closets. You will enjoy entertaining with this expansive covered patio & inviting swimming pool all on this 1.08 acre lot. Owner to have new 30 year roof installed prior to closing. Directions: South of Dallas on I-35E to Ovilla Road, West on Ovilla Road to Winding Creek Trail, South on Winding Creek Trail, home on the right.